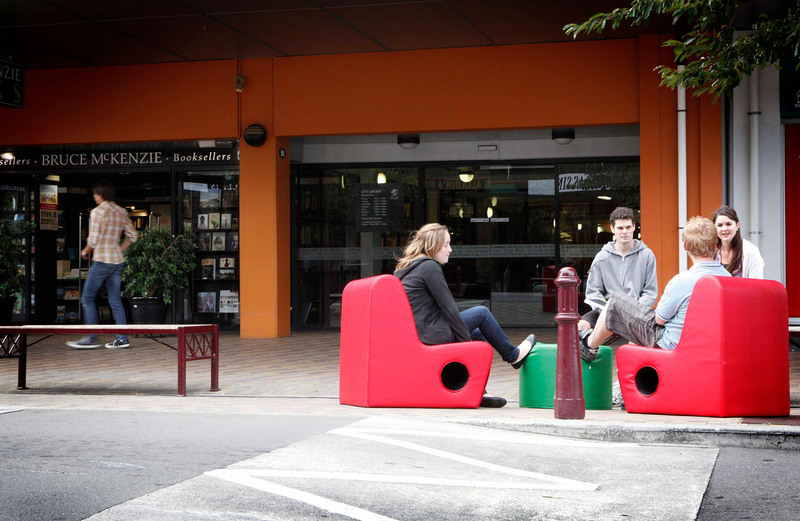 In Palmerston North, New Zealand, a Lighter Quicker Cheaper initiative facilitated by Creative Communities has inspired public space improvements across the city. 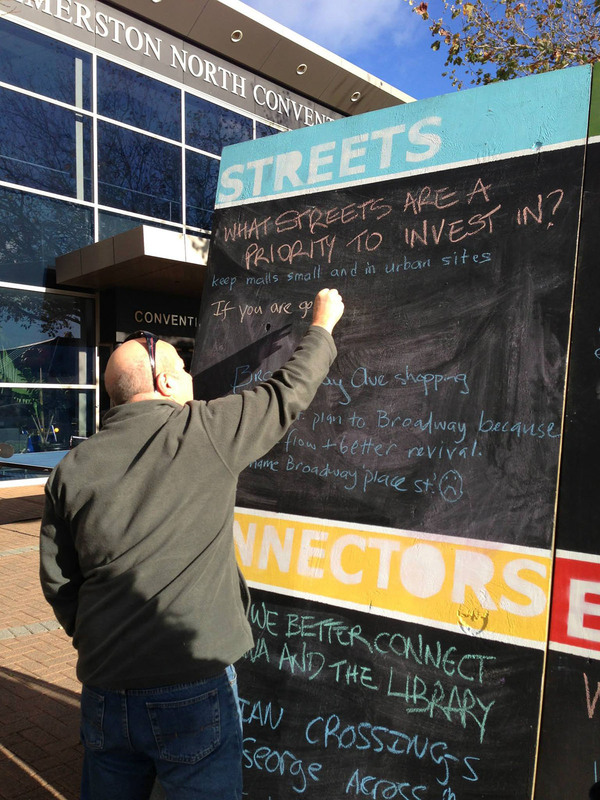 The project, spearheaded by David Engwicht, is a true reflection of community-driven Placemaking. In 2012, the first phase of the project brought together a group of 50 area residents, retailers, and businesses organized into action groups of around five people. Each participant received a DIY “Placemaking Kit” filled with resources on Placemaking, tips on improving public space, and a written challenge to complete their Placemaking vision in under 12 weeks. After this time, the groups reconvened for a show-and-tell and a celebration of their work. Participants shared stories of adding planters to sidewalks, placing benches at transit stops and on front yards, painting building facades, turning parking spaces into mini-parks, and putting bean bag chairs in underutilized public spaces. 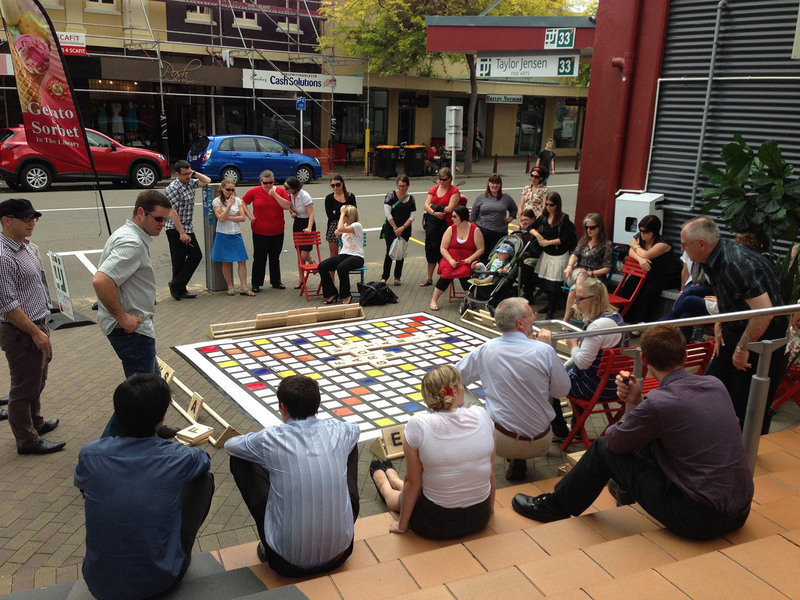 Since the pilot round, Placemaking Palmerston North has been repeated several times and expanded to other cities across New Zealand. The project relies completely on the efforts and ingenuity of local citizens, underscoring the potential of LQC as a strategy for creating a sense of place and community.